Recipients: Visit the Order of Precedence. 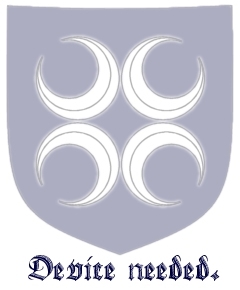 The Order of the Steinn (Stone) of Starkhafn is an award bestowed by the Baronage of Starkhafn. Its symbol is a yellow stone dependent from a cord; with subsequent awards being signified by the addition of yellow beads upon the dependant cord, one for each subsequent awarding. "A stronghold cannot long stand when its base is placed on sand. A mighty structure can only be built upon the most solid of stone. Like such a stronghold, the Barony would soon founder and sink into the sands were it not for the efforts of those who give of themselves so that the Dream can be realized by all. It is in recognition of the importance of those who give willingly of their time, skills and efforts that the Order of the Stone of Starkhafn was created." Meadhbh inghean mhic Aoidhghein 2005? Meadhbh inghean mhic Aoidhghein (augmentation) 2007? Meadhbh inghein mhic Aoidhghein (augmentation) 2010? This page was last modified on 29 March 2019, at 18:29.